Secondary Storage Devices are essential as the size of Primary storage or main memory in every computer is limited. With this, the computer can only accommodate a limited sized program and data. To carry out big jobs like commercial data processing, it becomes essential that data be held in some expansive form of storage. This is achieved through secondary storage Devices. It is also called as external storage, and can hold data either sequentially or at random. You should always keep in in mind that data in secondary storage devices is not directly accessible and has to be routed through the main storage for processing. • Tapes are used for recording and storing data for computer processing. It is plastic reel similar to long lengths of movie film. A tape is usually ½” wide and 2400 feet in length and it is coated with particles of ferric oxide on which data can be recorded magnetically. • The process of reading and writing of data is carried out on a device called Tape Drive and the records on magnetic tape are stored in sequential order. For example: if the payroll file is to be stored on a magnetic tape, the records would likely to be stored in the sequence of employee numbers. Hence, magnetic tapes are referred to as sequential access device. • Magnetic disk is another type of secondary storage device known as random (direct) access as it permits direct accessing of data. An individual disk is a circular metal plate coated on both side by ferrous oxide material. • Data is recorded in the form of magnetized spots on the tracks of the disk, a spot representing the presence by “1” and its absence by “0” enabling representing of data in binary form. • The surface of the magnetic disk is divided into number of invisible concentric circles called “tracks” and these tracks are further subdivided into “sectors”, “blocks” etc. each its own unique addresses to facilitate the location of data and the Disk moves on a vertical rotating spindle. • Reading /writing on the disks is accomplished by means of series of read/write heads which are placed close to the surfaces of the disks. • It is good to know that data on the magnetic disk can be accessed again and again. It can also be recorded erasing the older information. • It is a metallic cylinder coated with a special magnetic alloy. • Data is stored in this surface as minute magnetized spoke arranged in binary form in a series of parallel circular tracks. • The drum rotates at a constant speed and data is recorded (or) retrieved by the read/write head. One for each track. • The magnetic drum provides random access storage. Stored data is not destroyed until new data is written in the same location. Drums cannot be removed from the unit and stored. Requires machine interpretation to read the information as it is not humanly readable. ♦ CD-ROM (Compact Disc Read Only Memory) is a Compact Disc contains data accessible by a computer. 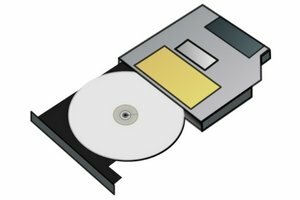 While the Compact Disc format was originally designed for music storage and play back, the format was later adapted to hold any form of binary data. ♦ The CR-ROM is also known as a laser disc, which is shiny metal like disk. The diameter of the disk is 5.25 inches or 12 cm disk. Information of 650 MB can be stored which is equal to nearly 2, 50,000 pages of printed text. ♦ The data is recorded as deep holes on the disk surface or burning microscopic bits. ♦ The plain and shiny disk surface and the microscopic bits help to represent the binary numbers 0 and 1, as required by the concentric tracks. ♦ CD-ROMs are popularly used to distribute computer software, including games and multimedia applications, though any data can be stored. ♦ Some CDs hold both computer data and audio with the latter capable of being played on a CD player, while data is only usable on a computer. These are called Enhanced CDs. ♦ The CD-ROMs are pre-recorded disks used for storing a large amount of data and information. Hence, the CD-ROM drive has become a standard peripheral device used for retrieval of stored data on the CD-ROM. ♦ A CD-ROM sector contains 2352 bytes, divided into 98 [ninety-eight], 24-byte frames. ♦ A mode-1 CD-ROM, which has the full three layers of error correction data, contains a net 2048 bytes of the available 2352 per sector. ♦ On a mode-2 CD-ROM, which is mostly used for video files, there are 2336 user available bytes per sector. A device called CD-Writer is necessary to record information onto a CD-ROM. ♦ A hard disk drive [HDD], commonly referred to as a hard drive, hard disk or fixed disk drive. It is a non-volatile secondary storage device which stores digitally encoded data on rapidly rotating platters with magnetic surfaced. The hard disk is an electro mechanical device. The hard disk is also known as Winchester disk. HDDs record data by magnetizing a ferromagnetic material directionally to represent either a “0” or “1” binary digit. They read the data by detecting the magnetization of the material. ♦ The magnetic hard disk is an electro-mechanical device which consists of some smooth metal plates and disks coated on either sides or surfaces with a thin-film of magnetic material. The set of such magnetic disks are fixed on one spindle, one above the other, like a stack of disks. This is called a disk pack, which is sealed into one unit and mounted on a disk drive. ♦ The hard disk drive has a set of magnetic heads or read/write heads for both surfaces of each disk, on the spindle. ♦ The disk drive consists of a motor to rotate the disk pack at a speed of about 3600 revolutions per minute [rpm] about a spindle. ♦ Each magnetic head (or) magnetic read/write heads mounted on arm can move in and out rapidly on the disk surface to perform read and write operations. The information is recorded and stored or retrieved that is read from the magnetic recording surface, while the disk rotates about the spindle at high-speed. ♦ The information is stored on the magnetic surfaces as bits 0’s and 1’s on the concentric circles as tracks. ♦ Each track is divided into sectors of the same density. ♦ The set of corresponding tracks of all the surfaces of all the disks constitute a cylinder. ♦ The magnetic disk pack is connected to controller by an electronic circuit called as a disk controller (or) hard disk controller HDC. The controllers accept control signals from the control unit of the computer for specific read and write operation. ♦ Now days the capacity of hard disk begins from 20 GB, 40 GB and so on, to fulfill the need of large data information storage. ♦ Hard disk drives are sealed to prevent dust and other sources of contamination from interfering with the operation of the hard disk heads. ♦ The hard drives are not air tight, but rather utilize an extremely fine air filter, to allow for air inside the hard drive enclosure. The spinning of the disks causes the air to circulate forcing any particulars to become trapped on the filter. The same air currents also as a gas bearing which enables the heads to float on a cushion of air above the surfaces of the disks. These are also called as flexible disks. These are used in the smallest micro computer systems as well as mini computers. Floppy disks have higher storage capacity and offer direct access capability. 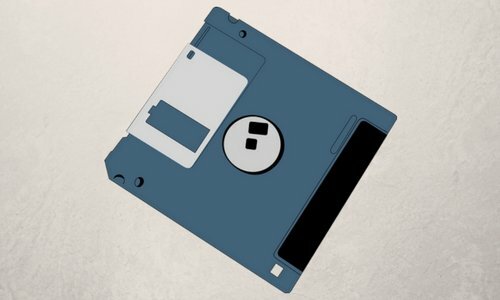 The floppy disk is permanently sealed in a plastic coated jacket and the whole package is inserted the floppy drive for data recording and retrieval. The jacket of the disk has a small slot to permit the read/write head to contact the disk. They are 5.25 inch (or) 3.5 inch in diameter. They come in single and double density and recorded on one or both surface of the diskette. The capacity of a 5.25 inch floppy is 1.2 mega bytes whereas for 3.5 inch floppy it is 1.44 mega bytes. It is cheaper than that of any other secondary storage devices and is portable too. 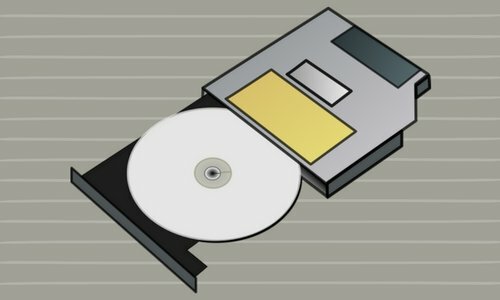 The floppy is a low-cost device particularly suitable for personal computer system. Once data has been recorded, a floppy disk reader can be used to enter data into CPU. Again, the disk is loaded and rotated at a constant speed inside its envelope. Tiny magnetic heads in the disk reader access data through the slot in the jacket. BREIFLY INFORMATION PRESENT HERE SO MOST USEFUL FOR THE STUDENTS ..